England completed a 4-1 series win over India when they beat the world's top-ranked Test nation by 118 runs at the Oval on Tuesday. A comprehensive victory was sealed when veteran spearhead James Anderson bowled Mohammed Shami to become the most successful fast bowler in Test history with his 564th wicket at this level. Nevertheless, England national selector Ed Smith, new to the job this season, faces some difficult decisions ahead of November's three-Test series in Sri Lanka. AFP Sport looks at some of the key issues facing England. The way Alastair Cook, England's all-time leading Test run-scorer, marked his final appearance before international retirement with an innings of 147 underlined just how much they will miss the 33-year-old left-handed opener. A total of 12 batsmen have been tried as partners for Cook at the top of the order in the six years since Andrew Strauss retired. In a way, Cook's retirement spared Jennings the axe as the thought of having two new openers was almost too much for England to contemplate. Jennings may have the uncapped Rory Burns, who has long scored heavily for county champions-elect Surrey, alongside him in Sri Lanka. "For both sides in the top order it's been very difficult," said England captain Joe Root. "Of course you want to maximise your runs at the top of the order, you want to get off to a good start but we've made up for that in other departments." Ever since Jonathan Trott called time on his Test career three years ago, England have been searching for a reliable batsman at first-wicket down. Moeen Ali was moved into the position during the second innings of England's 60-run win in the fourth Test at Southampton, allowing skipper Root to bat in his favoured number four slot. To the extent that Root scored 125 in England's second innings 423 for eight declared at the Oval, the move may have been said to work. But Moeen, for all his qualities against spin, was bowled by India slow left-armer Ravindra Jadeja for 20. And there have been enough times in his England career when the Worcestershire spin-bowling all-rounder has struggled against the short ball to raise real doubts as to whether he can ever be more than a stop-gap number three, particularly given England are set to face an Australia side boasting several quality fast bowlers in next year's Ashes. "He wants to bat at three, he wants to bat up the order and obviously the Sri Lankan series if he can bat at three and that's what the selectors and captain, coach go with, then he obviously gives us a lot more balance in terms of the opportunity to play three spinners in that series," said Paul Farbrace, England assistant coach, of Moeen. It has often been said of India that they are "lions at home and lambs abroad" but that is now increasingly true of many teams. Root's first two overseas tours as England captain, in 2017/18, ended in 4-0 and 1-0 defeats by Australia and New Zealand respectively. 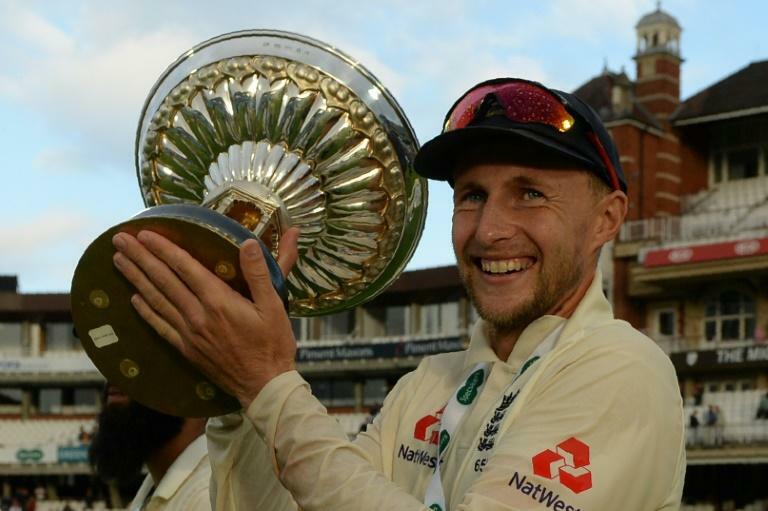 The Yorkshireman said success abroad was more than a matter of playing more warm-up games, insisting: "As a player, you have to take it on yourself to make sure you are practising in different conditions. Put yourself under pressure against spin, against high pace, the ball coming round your head. "If you have that attitude you'll give yourself the best chance. So, long-term that’s what we’re after and what we’ll try and do as a side. "There will be challenges ahead this winter with where we're going (Sri Lanka and the West Indies) but also, how hard it is, when you do (succeed), makes it even more enjoyable."